As we reach the end of our Kentown Christmas Carol it seems only right to take a look at our Christmas future. Here at the Kentown Wizard Foundation we are excited to announce that we will be sponsoring the outstanding When You Wish Upon A Star Winter Wonderland Ball next Christmas! 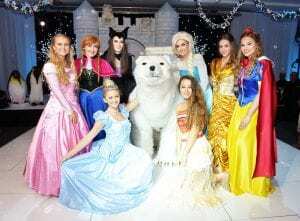 Each December the North West Wish Team welcome around 45 families to a snow filled Winter Wonderland at Center Parcs Sherwood Forest for a 4 day break. Each day is filled with exciting activities, not forgetting a very special visit from Santa, the highlight of the weekend is the spectacular children’s Ball. This 4 day break gives the families they support the perfect opportunity to unwind, have fun and make lots of magical memories, to treasure for a lifetime. In previous years they have hosted spectacular breakfasts with Santa Claus, very tasty sweet stalls and unmissable discos. The children get stuck in decorating gingerbread, badges and Christmas cards and can be seen jumping up and down with excitement as they spy their favourite TV personality! We are overwhelmed by the opportunity to support such an incredible event and will be counting down the 365 days we have to wait!